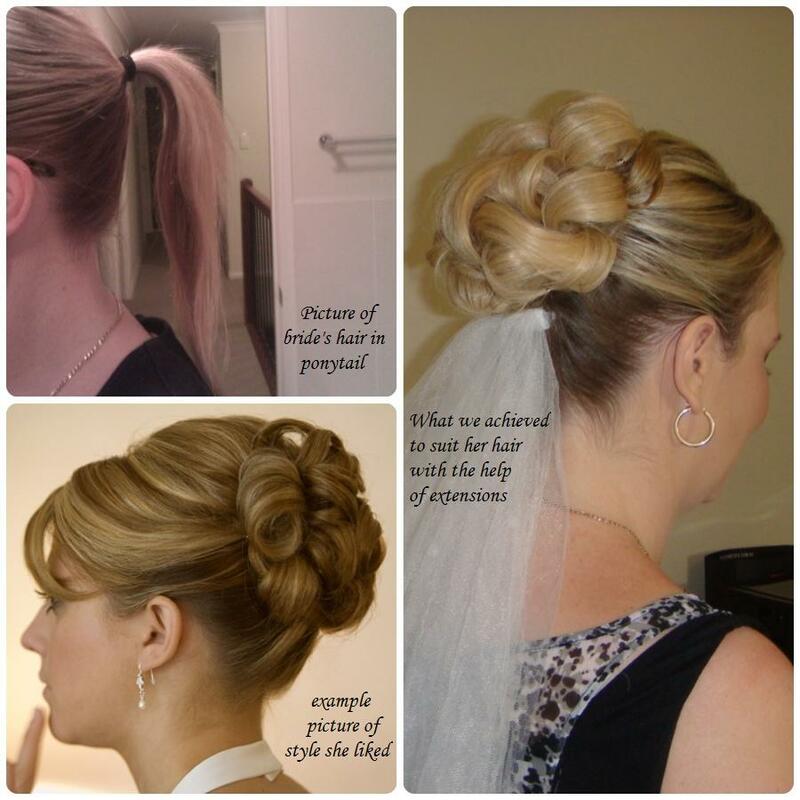 I've been doing a lot of last minute hair trials and thought i'd offer some of my tips to get the most out of your hair trial/preview. Bring lots of pictures, examples of what you like and what you don't like and be as specific as you can but do be prepared to compromise. You can come in wanting Beyonce's do but we may have to do a different style but with the same feel for your thin wispy blonde bob... Even if it's just looking at using hair extension or padding to add volume or shape. There is a difference between day old hair and week old hair, dripping in oil hair is never a good look on anyone! Wash your hair the night before (if you have very oily hair you can do it on the day of) but generally day old hair is easier to style and make sure you blow dry it straight (if you have curly hair). Never straighten your hair with a straightener, it makes the hair slippery and hard to work with and will not hold curls! Arrive on time and allow plenty of time to discuss details and ask any questions you may have. Have the correct change or let your stylist know beforehand so they can work something out, there is nothing more uncomfortable then silence when someone tells me they don't have enough money. Or don't know why they thought the trial was half price or free when the pricing is on my website and I quote the exact amount in email exchanges. Lastly if your wedding isn't for awhile or if you're not sure you're ready for a trial yet but would like some advice on whether a style would suit you or can be done on your hair, email me. I am more then happy to help in anyway I can. Just send a side on picture of your hair in a ponytail and examples of hairstyles you like. This is also a good idea for your trial so I know what I'll be working with before you come in and also for bridesmaids hairstyles as I might not see them until on the day. The Bridal Hairstylist 2012. Simple theme. Powered by Blogger.